Find straight answers to popular questions right here. My name is Mark, I’m a certified master technician. My goal is to help you diagnose and repair your own car problems or at least help you better understand them. If you came here searching for automotive information then you’re in the right place. With 30 years of experience I have a lot to share. The community provided the popular topics covered here. As an example, people wanted to learn more about wiring diagrams. I put together an introduction page with a how to video and additional support articles at the bottom that can help you understand complex problem solving. Car electrical problems isn’t the only subject covered here. Scan the left navigation bar and find general topics that interest you. The Auto-Facts.org website is packed with free information articles and helpful short videos. Each navigation button leads to additional pages supporting the first one with tightly focused and in-depth information, images and facts about that specific subject. You’ll also find access to high quality vehicle specific service manuals for almost any car on the planet. 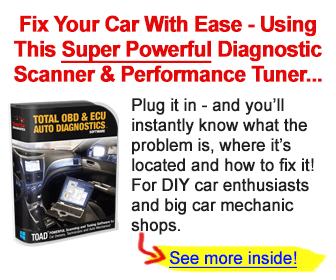 My most popular pages to date have been about do it yourself auto repairs. You’ll find tips, advice and online service manuals to help you achieve professional results at home. Why not fix your own vehicle with a new sense of confidence and pride? Visit the Auto Repair Manuals section for online programs designed for DIY mechanics. Get printable diagrams, diagnostic tips and how to videos to get you started on the right foot. I added two new support areas for driveway repairs on the Diy Auto Repair Tips section. And learn how to reset and fix check engine lights the right way on the Auto Scan Tools Info page. I even covered if disconnecting the battery resets the check engine light. See if you can do it yourself and save time and money. By popular demand I reveal insider tips and secrets of how I made money on the side using the car business as a tool. This page includes links to Kelly Blue Book and NADA web sites providing free book value pricing estimates and how to use the information. There are several different ways to develop an income using automobiles as a cash flow generator. The industry is so popular in North America and worldwide that you’ll never run out of customers. Click on the make money with cars page for more information about this interesting subject. I have covered many other areas as noted by the left side-bar buttons. Each button brings real life examples plus answers and solutions to common car problems people run into everyday. Need a more specific answer? Download a full version PDF service manual for your specific car or truck. I have tried my best to provide good solid information and in-depth answers to the most popular submitted questions. Use the Google custom search box to browse my different websites and the Internet at the same time. Auto-Facts.org continues to grow quickly. I have hundreds of pages of content. The search function might be the fastest way to find things. You are the most important part of this growing community. Share personal stories using the your auto repair story button. It’s third in the navigation-bar from any page on the site. Help others by leaving comments on a posted story. Get friends involved using the e-mail function on the bookmark tool. I am also offering my helpful and informative five minute video below for free to people that support this site. Learn why you should pick up a repair manual for your car before it breaks. Discover the choices available when it comes to securing reference materials. Review availability and prices associated with the most popular formats of web based repair manuals. Use the video guide to discover how to find and use the information once you downloaded it. Remember that a typical dealership quality vehicle shop manual is around 2,000 pages and in some cases more than that. See how the information is organized so you can quickly find the pages you need to fix your car. We built this site for automotive fans we hope you’ll get involved and have fun exploring all the information and links on a wide variety of auto related topics.